Fisher folk have frequently been romanticized in a rather heroic fashion as a kind of ''noble savages'' at home. However, in the harsh reality of everyday life, they were usually poor and often stigmatized for being quaint, backward and uncivilized. But, despite the occupation''s social status and imagery, fisher folk still take pride in it and thoroughly enjoy what they do. Fishing is not merely a job, it is also a way of life, as has been noted time and again by anthropologists. This study combines ethnography and anthropological analysis. 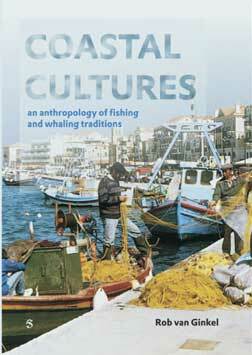 It throws light on cultural dimensions of fishing and whaling in Europe and the United States. The chapters deal with such classic anthropological themes as: tradition, ritual, taboo, ideology, identity, animal symbolism and how these topics intermingle with cultural and environmental politics in either positive or negative ways. Rob van Ginkel is an anthropologist and associate professor at the Dept. of Sociology and Anthropology, University of Amsterdam. He has published widely on fisheries-related topics. With Jojada Verrips, he was a founding editor of Maritime Anthropological Studies (MAST).